hello,I live in France, I just received a wolverine Moviemaker Pro imported by amazon.com. I am doing a quality test. a rp32 target and I am really disappointed. 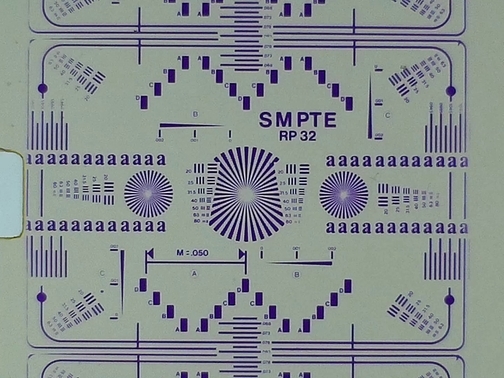 have you ever tested with a test pattern to evaluate the definition of the optical block. it would be interesting to share your experiences. it's a shame because this scanner could be great with little upgrades and mods : just possibility to scan and registering single images in uncompressed series even with a slower scan at 1im/s. I would have preferred to pay a little more and have this opportunity. Has anyone tried to modify the optics and mechanics themselves? Thanks for your suggestions... sorry for my english. what I would give for a mod to have the wolverine record an image sequence. After reading lots of posts&watching tons of sample clip,I had ultimately come to the conclusion about this Wolverine film scanner (and its clones). 1.The hardware - namely the camera module itself,isn't of particularly high quality. I'm afraid it's the same image sensor used in those cheap dashboard car cameras,hence nothing much quality-wise to expect. 2.The poor compression would be from either poor codec used,or worse,the poor hardware (encoding chip). If it is really the hardware encoding then there's no hope to "improve" it by re-compile its firmware to get RAW image output - since it wasn't even there at the first place. 3.And the build quality...well that's as much as you can get from something made with as little production cost as possible. After owning both the original Wolverine and then the Wolverine Pro, I agree with your assessment. 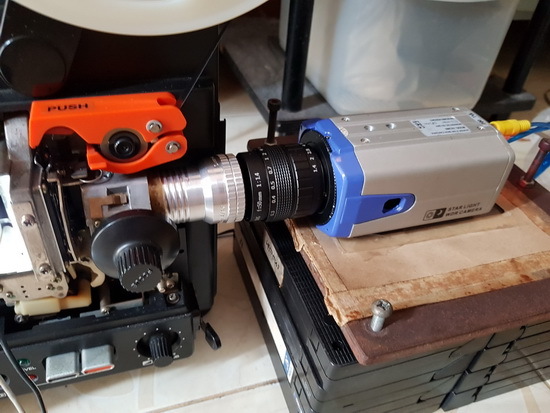 What these converters DO provide is a fundamental system for the user to digitize their films on their own without sending their films out to be converted. I think that most of us can agree that the quality of the scan can certainly be improved, but for the money we pay for these converters, we certainly can't expect the quality achieved by a Moviestuff converter, right? I have an expectation that within a year, we'll see a Wolverine Pro II with more hardware modifications, and some improvement in the camera module and codec. perhaps it is possible to change the optical block by a better camera lens. I have an imagingsource camera, that can be controlled by external trigger with possibility to choose its output codec and to record pictures in sequences. (IC Capture software) I must see if I can slow down the Wolverine (1im / s) to give time to record images without compression. . To study. The Wolverine should be pulled from the market until all problems are fixed and it works reliably as advertised. I know of no other product costing $400.00 that consumers would put up with so many defects and obvious design issues. I would not buy one but it is interesting to see the research and development going on. Bravo to everyone trying to make it better. Although an improved model shouldn't cost more as all the research is being done by the buyers of the product. 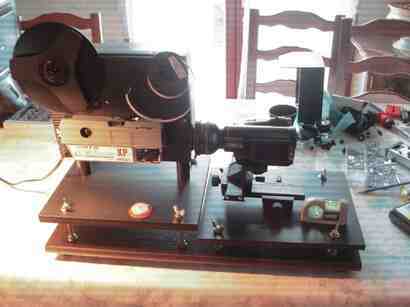 Kamel Ikhlef - since you already have the most vital part (the camera itself) if it's me I'd find a good used projector,assemble them up,replace the motor with the slower ones,set the trigger system and bang...you'll get something of higher quality than this "toy" Wolverine film scanner. Kamel Ikhlef :Try this approach then! In short - with both the camera and projector lens on "infinity" focus. Both lens will be at its designed focal point,hence maximum sharpness. The rest is to find the lens with correct focal length to match - depends on the (known) film's frame size&(unknown) camera's sensor size. BTW this is from my temporary setup for making a quick&dirty transfer,using whatever lying around at the moment to finish that job as fast as possible. Will post about this setup someday. The test is not good. it's good in center, but blur on borders. Probably due to that macro converter,which is being stretch beyond its limit. Hence the soft pic edge. Using projection lens of larger gauge (50mm 1:1.6 in my case) as a magnifier will yield much,much better results.